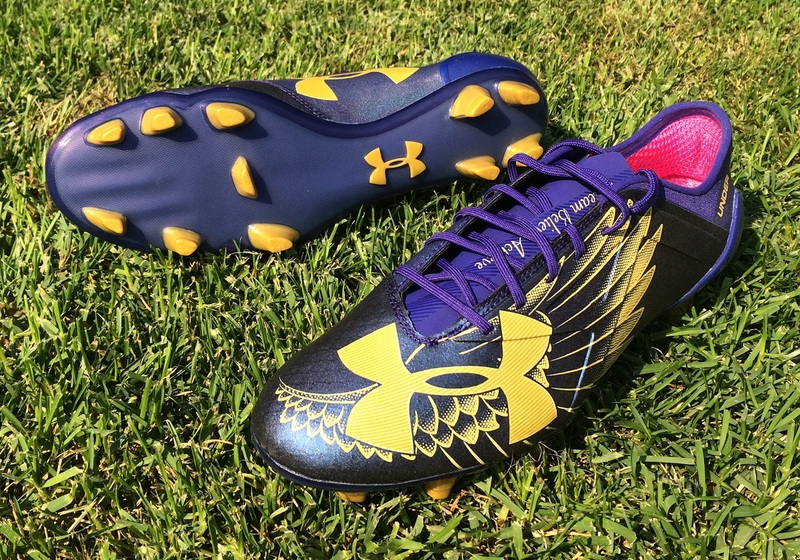 Under Armour are back with an extremely artistic, limited edition release that is intended to provide players with a look like no other. 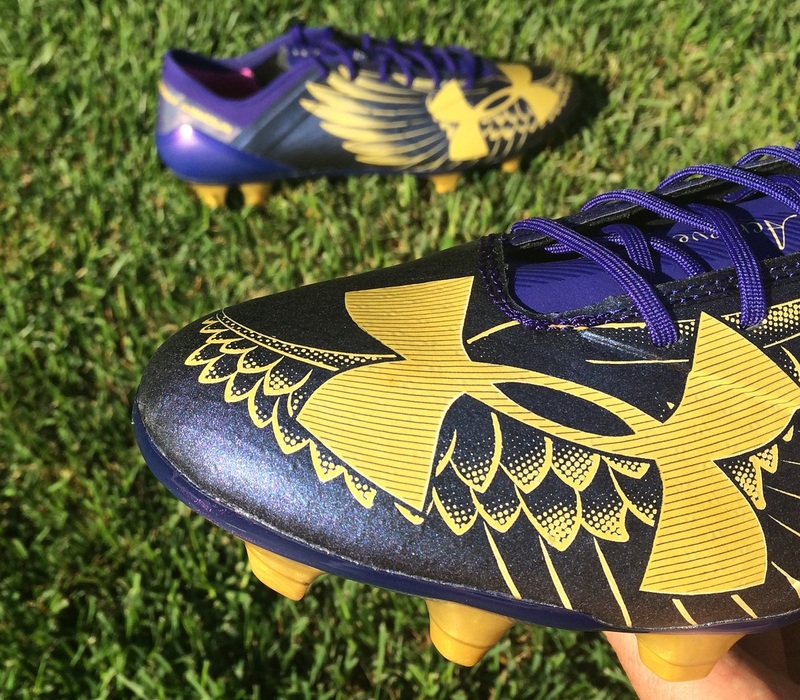 The UA Spotlight Dream Chaser 2.0 are inspired by the tattoos on Memphis Depay, with golden wings stretching across the shimmering purple speed boot upper. 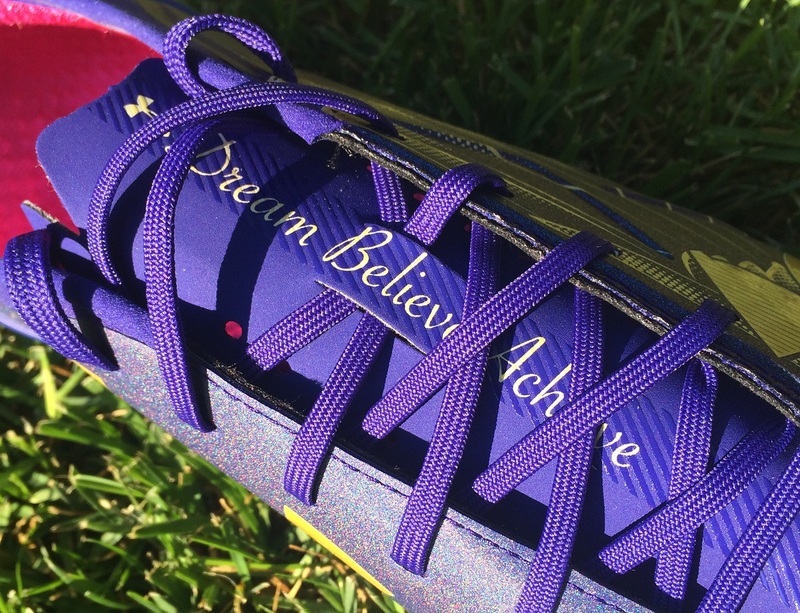 Adding to the context of the release, the words “Dream, Believe, Achieve” are listed along the tongue as a motivational reminder for those wearing them. 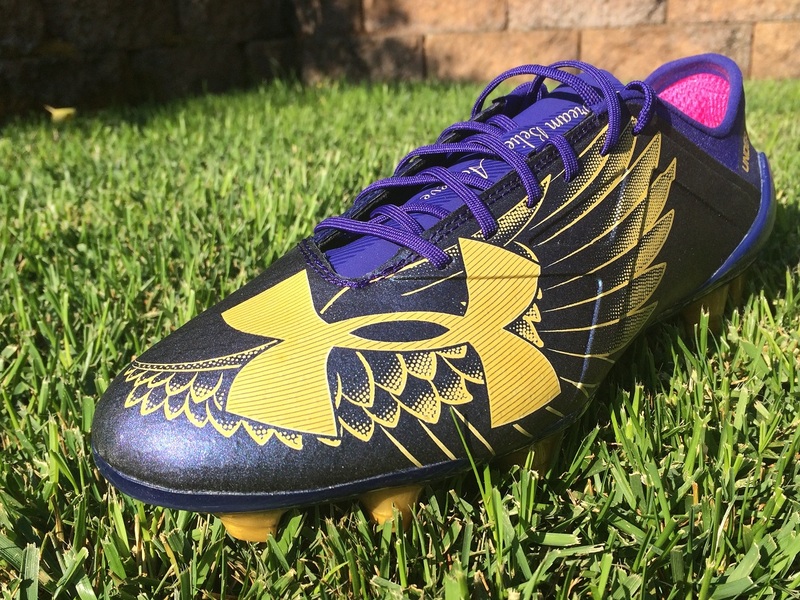 And to complete the look, UA has gone with a hit of Hot Pink along the inner lining of the boots. If you want a pair of boots that are edgy and offer some extra attitude, these are definitely worthy of consideration. We have been offered exclusive access to one of the very first pairs, and having tested the Spotlight we figured it would be the perfect opportunity to run through what you can expect should you be interested in picking up a pair. You can find a limited number of pairs listed at soccer.com. COMFORT: There is no insole in these shoes, so the inner lining is actually built in and can’t be removed. From a memory foam style sole lining with mesh, to an extra layer of padding around the heel, your feet just feel at home from the very first wear. 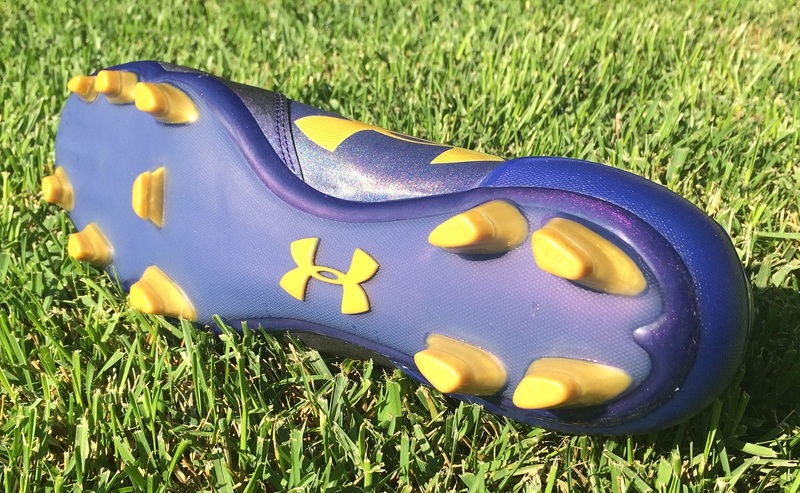 Clean and secure; these are the best words I can use to describe the feel of the UA Spotlight upper. 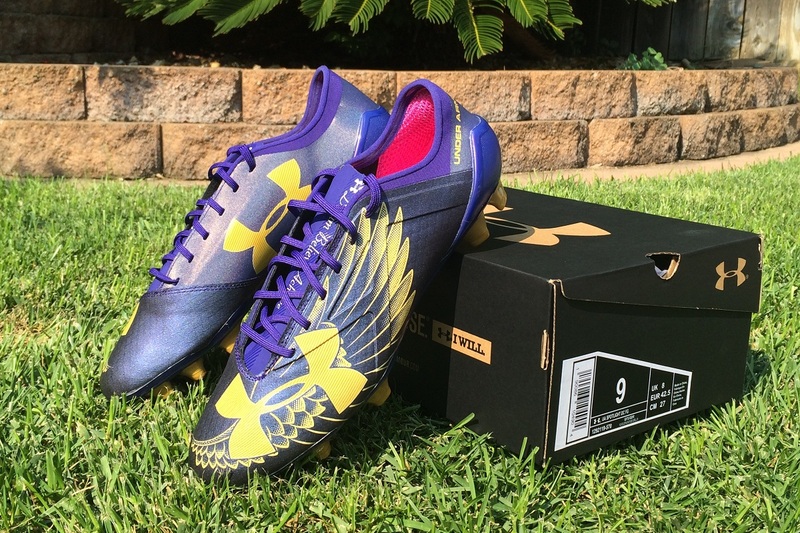 UA employ a soft synthetic that is one of the most naturally pliable available on the market right now. It does take a few wears to really mold down, but when it does you get one of the cleanest touches of any boot currently on the market. Through the heel, a seamless molded heel counter is topped off with a soft synthetic material. 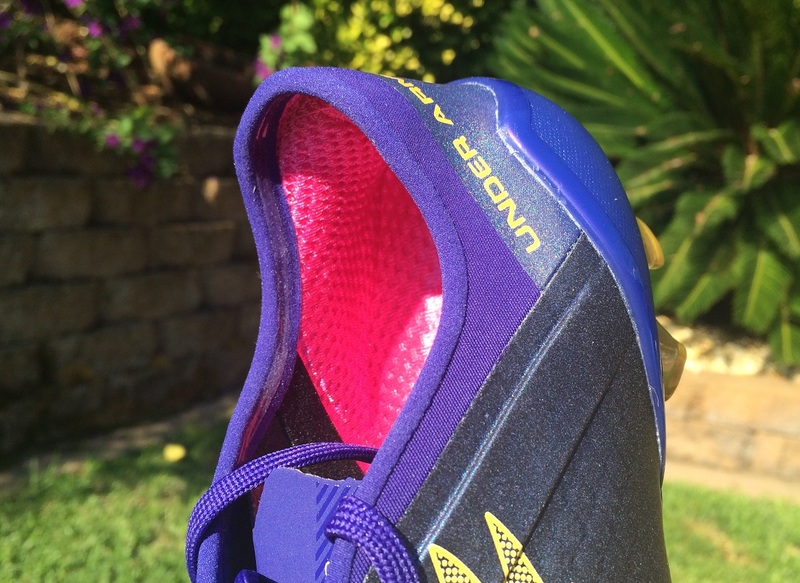 It reduces any chance of players getting a blister in these boots – yes, I can say with confidence that the style of these boots will ensure your heel is kept in check without opportunities to rub or cause discomfort. TRACTION + SOLEPLATE: In terms of traction, you get 6 misshaped studs towards the forefoot of the lightweight Pebax outsole that increase in height as you move from toe to midfoot. This provides a little extra torque through tight situations and more grip as you plant your foot on the ground. They are naturally intended for FG, so that is where they will perform at their highest level. But I also found that on AG, they did a very sufficient job of holding traction without getting stuck in the surface. I’d add them to the list of options suited for both. SIZING: If you are wondering about size, there are some things to note about the Spotlight series. Although they have true-to-size length on offer, they are a very snug boot from midfoot through forefoot, and that makes them more suited to medium fits rather than wide fit. Slipping your feet in to a pair requires opening the laces right up, and once they are on the material is intended to really hug your foot. 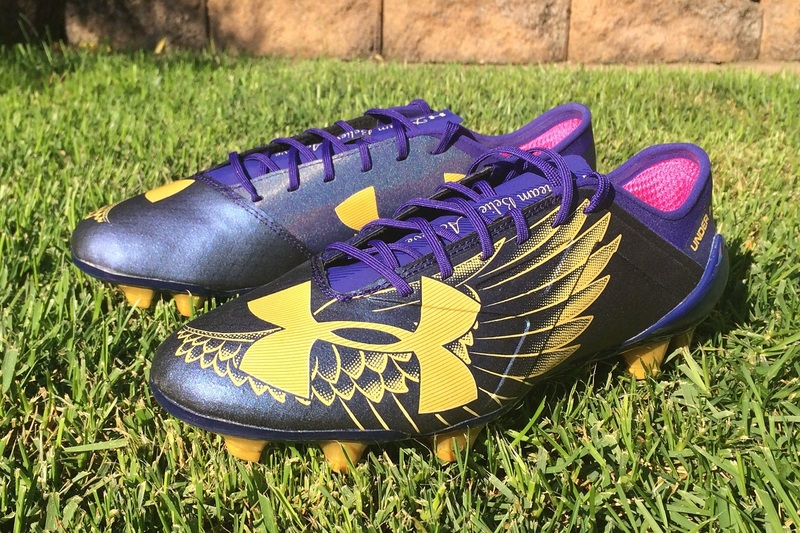 SUMMARY: This is a fresh new look that sets a statement from Under Armour. They are obviously not afraid to push boundaries with their designs and have confidence that their will be enough interest for this special edition release to sell out quickly. The color combo is sharp, and given the positive performance offered by the range, they have potential! Find this Limited Edition “Dream Chaser” at soccer.com.